So who all is playing OOTP11 and what are your thoughts on it? I downloaded it this AM and it's awesome. A little hard to navigate in the beginning as its alot different than 10. But looks very very nice. Re: So who all is playing OOTP11 and what are your thoughts on it? installed it, but that's all. looks strange...but all new versions look strange. i've never played anything but on-line leagues...so it will just sit there until i join an '11' league, or one of my '10' leagues converts to '11. Location : Huntington Woods, MI., U.S.A.
New Orleans GM wrote: or one of my '10' leagues converts to '11. 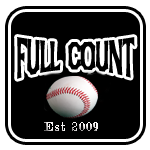 After the 2013 season Full Count will be running on 11.
cool...but if turns Sasaki into a 4-6-4 reliever, i'm coming after you! Maybe so, but you'll have a tough time keeping up without Sasaki! I've been messing around with it a little bit. I just had a 1st round rookie pick demand a 3-yr ML contract at $10M a year with a 10M signing bonus. Yikes. Ed-Las Vegas wrote: I've been messing around with it a little bit. I just had a 1st round rookie pick demand a 3-yr ML contract at $10M a year with a 10M signing bonus. Yikes. I should have pre ordered. I picked up 11 late last night. So far I've created 4 leagues, messed around a bit and changed the default skin. That thing was bad. Maybe later tonight I'll actually get to play a game! I love it but you know me lol. I have been messing around with a little, it is hard to navigate at first. I like the contract demands and so far everything looks good. Glad to hear FCB will switch to 11. This is my most enjoyable league even though i wish the Sox were in another Division. 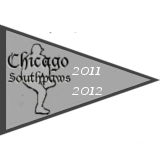 baseballbuzz wrote: I have been messing around with a little, it is hard to navigate at first. I like the contract demands and so far everything looks good. Glad to hear FCB will switch to 11. This is my most enjoyable league even though i wish the Sox were in another Division. Funny story, up until Halifax was decided as the final location for expansion... in order to make the league align properly I had my team (Chicago) slated to move to the Northern division. So, you can thank Paul and his Halifax Mooseheads for keeping my Southpaws in your division. The Mooseare glad to be in the Northern Division....love the seafood!!!!! » 01 Plano Labor day - who is playing? » How are you playing your tunes? » Who's girlies are playing high school ball and where?